Well, the Prince Charming quilt construction continues. 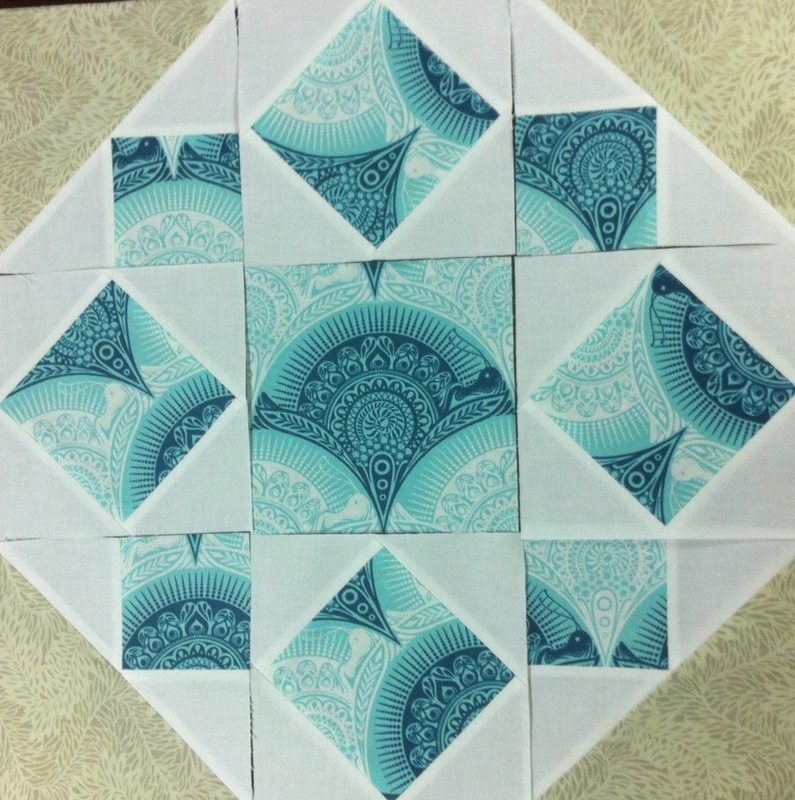 Tonight I pieced small blocks together and, for the first time, I was using the snail shell fabric by Tula Pink. I was surprised by how elegant this block looks. 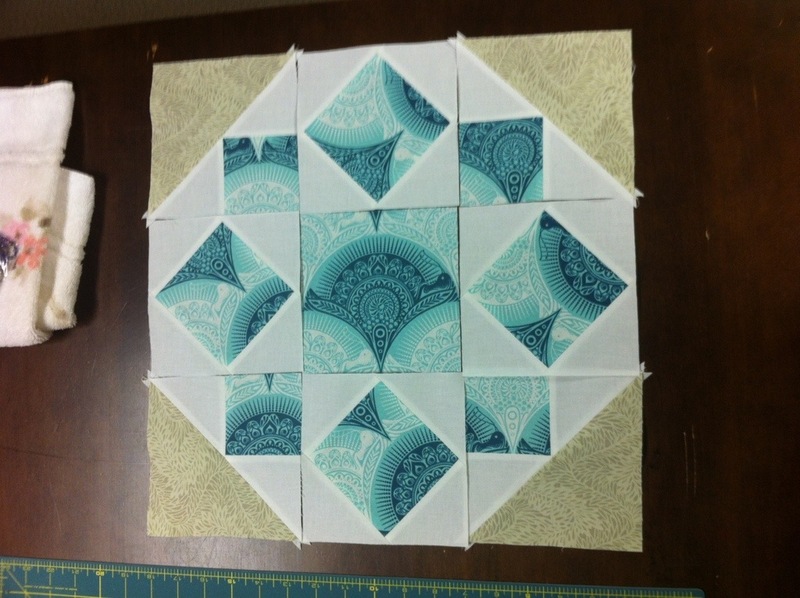 The arches and delicate, lacy design give this block a beautiful structure entirely different from the other blocks. I love it! I have tried several times to write a review of a movie I saw on Saturday night, Beasts of the Southern Wild. Nothing I compose is good enough. The film is delightful and magical. Quvenzhane Wallis, who plays Hushpuppy, deserves an Oscar. High recommendations aren’t enough–you must see this movie. (A small warning for those with movie motion sickness…it uses that shaky, first person camera throughout.) I won’t give anything away. I hope it enchants and touches everyone the way it did me. This entry was posted in Girl quilt, Movie, Quilt, Quilt blocks, Quilting, sewing, Tula Pink and tagged beasts of the southern wild, Movie, quilt block, quilting, quvenzhane wallis, Tula Pink. Bookmark the permalink.